PCC MCAA Sp. z o.o. considers the safety of all parties involved, including customers, employees, local community, and suppliers, to be one of the highest priorities of the enterprise. This is achieved by carrying out the tasks defined by the Occupational Safety and Health Policy. Due to a large amount of hazardous chemical materials in the area of the company, PCC MCAA Sp. z o.o. was classified as a plant running a large risk of a serious , industrial accident. 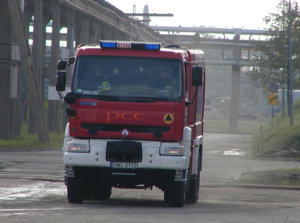 The production plant in Brzeg Dolny was registered by the Lower Silesia Chief of the State Fire Brigade and the Environmental Protection Inspector of the Province of Wrocław. 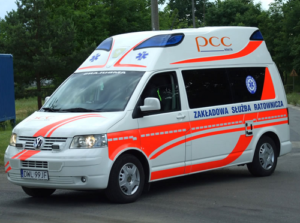 In order to minimise the risk of an industrial accident and to limit possible consequences, PCC MCAA Sp. z o.o. has introduced a safety system. – counselling and issuing opinions as regards actions and documents related to occupational safety and health, and fire protection. 1. “Law and Order” programme – which is intended to maintain an ordered, well-organised and safe workplace. This goal is attained by carrying out Optima regular audits and taking actions accordingly. 2. Programme “Optima. My idea for…” – which enables the employees to put forward their ideas as to improvements on the workplace environment, for example, in respect of occupational safety and health, quality, and environmental protection.